It didn’t take long to find my new favorite band of 2013. 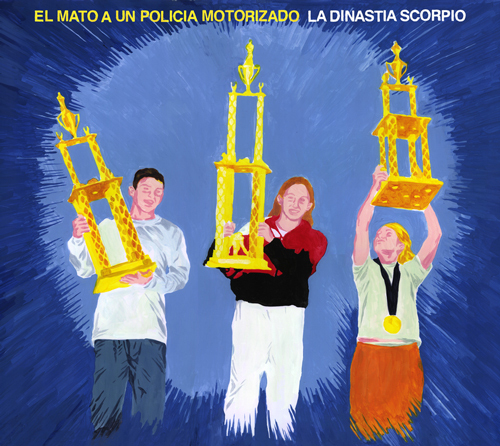 I’ve been obsessed with the music of Él Mató a un Policía Motorizado (He Killed A Motorcycle Cop) since late December. My obsession grew worse after the band released its second full-length album, La Dinastía Scorpio (The Scorpio Dynasty), on Spotify about a month ago. 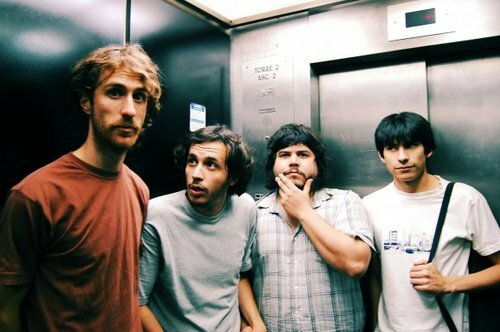 The band hails from La Plata, a district of Buenos Aires, the capital province/city of Argentina and features Santiago Motorizado on bass/vox, Doctora Muerte on drums, Pantro Puto and Niño Elefante on guitars, and Chatrán Chatrán on keys. 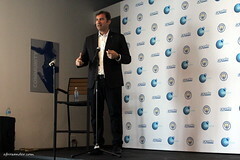 Él Mató, who got its name from a line in Die Hard, released its self-titled debut album in 2004 followed by a trilogy of EPs focused on the themes of birth (Navidad De Reserva, 2005), life (Un Millón De Euros, 2006) and death (Dia de los Muertos, 2008). The group’s sound is similar to that of alternative/indie rock groups of the 1980s-1990s such as Pixies, Dinosaur Jr., Yo La Tengo, Guided By Voices, and Sonic Youth. The characteristic lo-fi sound of the genre is more prevalent in the earlier releases probably due to the fact that it was the best they could afford at the time. That’s not to suggest that Scorpio sounds like a completely different beast altogether. The guitars are still distorted, the drums still layered enough to sound like there are four drummers in the studio playing simultaneously, and so on but, it’s all cleaner and more polished, an organized mess were no instrument drowns out another. Plus, Santiago’s vocal skills have improved greatly over the past decade. This entry was posted in Festival, Latino, Music and tagged Argentina, Él Mató a un Policía Motorizado, Buenos Aires, Indie, La Plata, Punk, SXSW. Bookmark the permalink.